1. 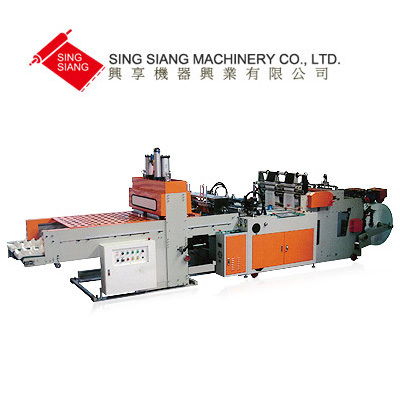 Specially designed for mass production of T-Shirt bags. 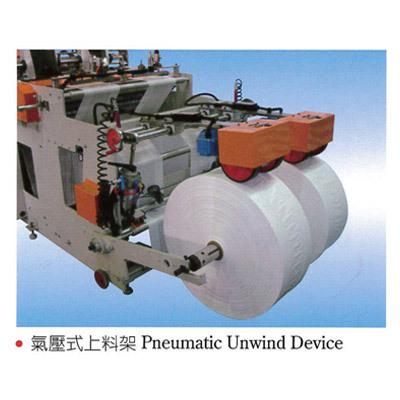 Non-stop design prevents machine from pause while clamping bags. 2. 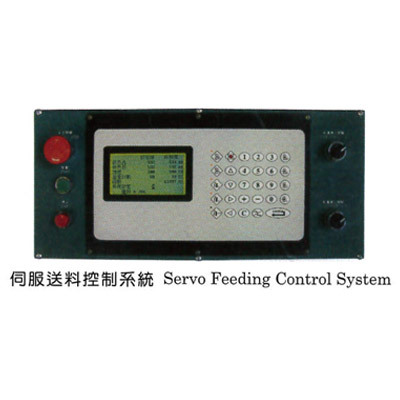 Servo feeding control system ensures high speed production with precise size. 3. Mark sensor will automatic tracking printed mark, auto stop when missing. 4. 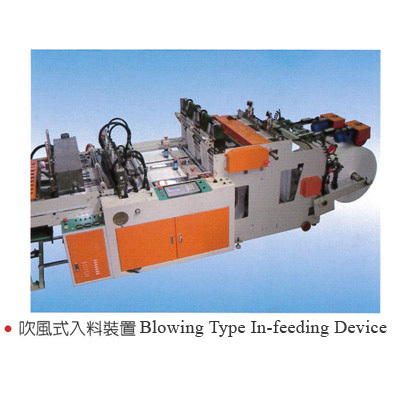 Air blowing feeding device and heat sealing system for stronger sealing strength and smoother film feeding. 5. 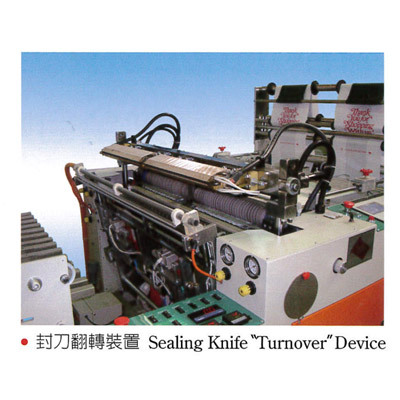 Pneumatic / Hydraulic boosting cylinder to ensure each bundle of bags to be punched out neatly and quickly.